Copyright 2011-2019 The Sanctuary Wellness & Yoga Studio. All Rights Reserved. 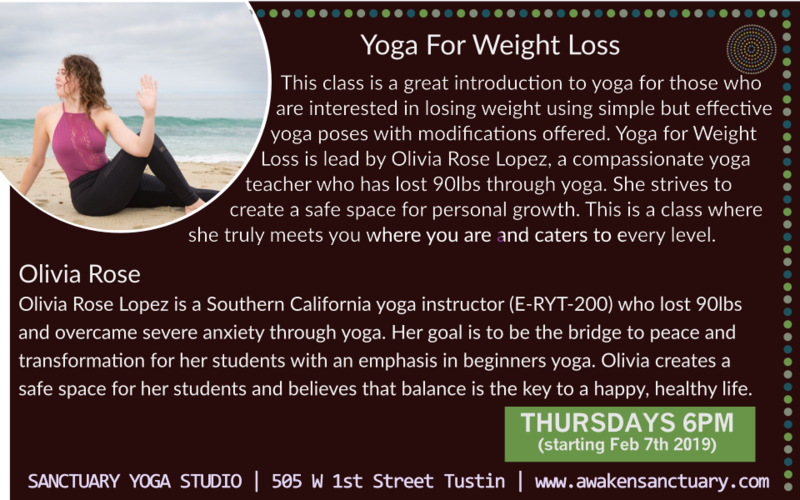 Olivia Rose Lopez is a Southern California yoga instructor (E-RYT-200) who lost 90lbs and overcame severe anxiety through yoga. Her goal is to be the bridge to peace and transformation for her students with an emphasis in beginners yoga. Olivia creates a safe space for her students and believes that balance is the key to a happy, healthy life. Come meet Olivia at the Sanctuary!